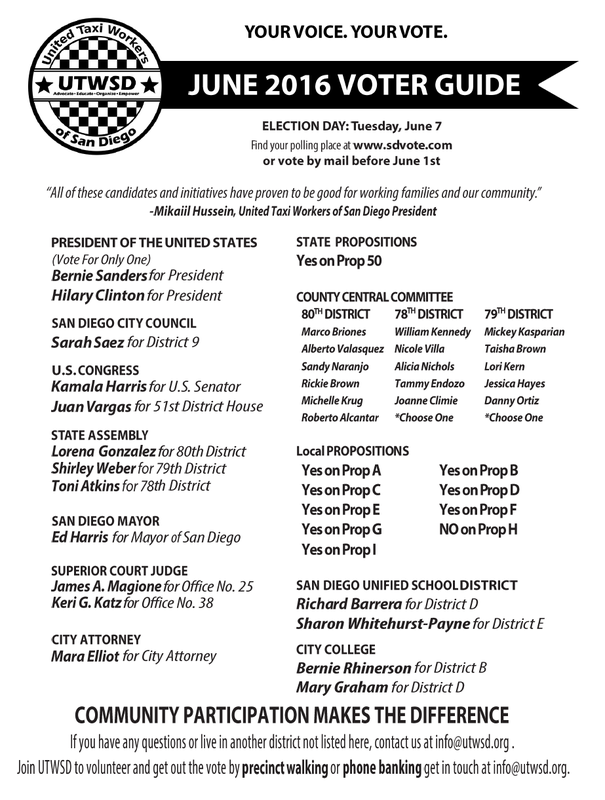 Below is UTWSD Voter Guide for the June 7th Primary! If you’ve already received your mail ballot, sign, date, put a stamp on it and send it in as soon as possible! The below candidates and initiatives have proven to be good for workers and our communities, most importantly our very own Sarah Saez for District 9 City Council!